Aimlessly Elegant: It's A . . . GIRL! Martin & I were excited to find out the gender of our new little one at our 20 week appointment yesterday, and I wanted to stop in to share the news with everyone today that we would be welcoming a little baby girl in August. Everything checked out a ok, and all on track for where she should be which is always a relief to hear. Now the planning can really begin! The nursery, registering. . . so much stuff to do! I will gladly take any recommendations on must have baby gear, or brands since it seems to be such a daunting task with so many options out there. Awwww...a sweet baby girl! CONGRATS! I'm sure it makes it a little bit more real to know the gender! Woohoo! My prediction was right! So happy for you! It does. . . let the planning begin! :) Thanks girl! I'm so excited to start planning for her, though it also seems a little overwhelming all at the same time, I won't lie! Thanks, You were right on! Yay! Sounds like I'm right where you are as far as due date. 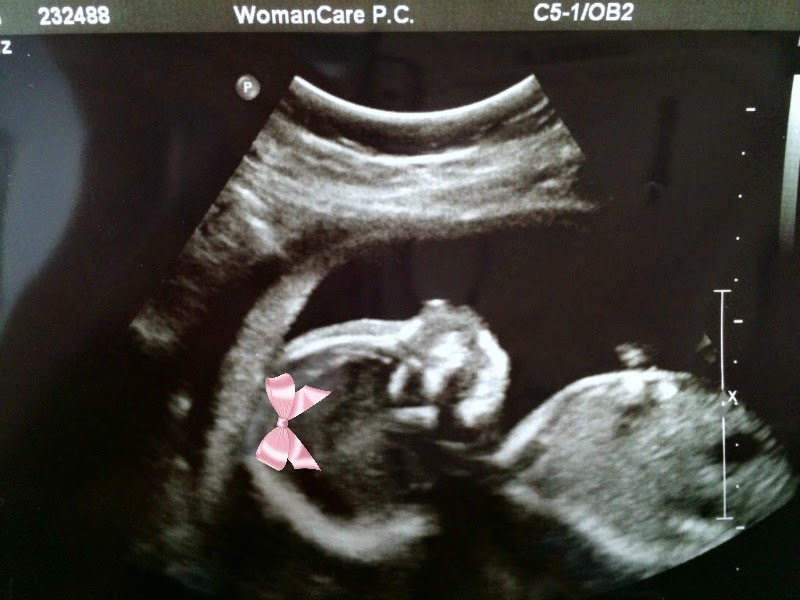 We found out a few weeks ago we're having a girl too! So much fun!